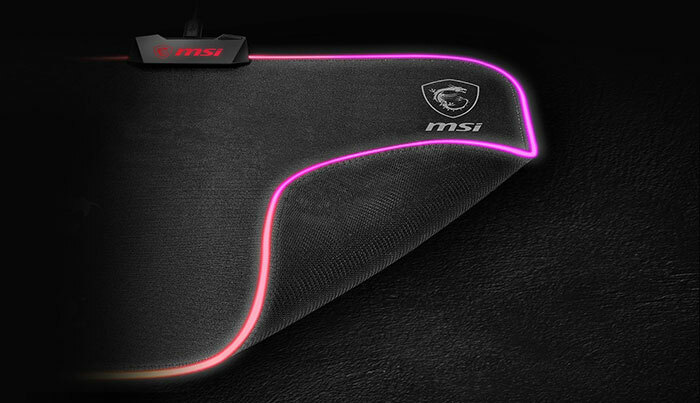 MSI has expanded its mousepad offerings with its first ever RGB illuminated mat. 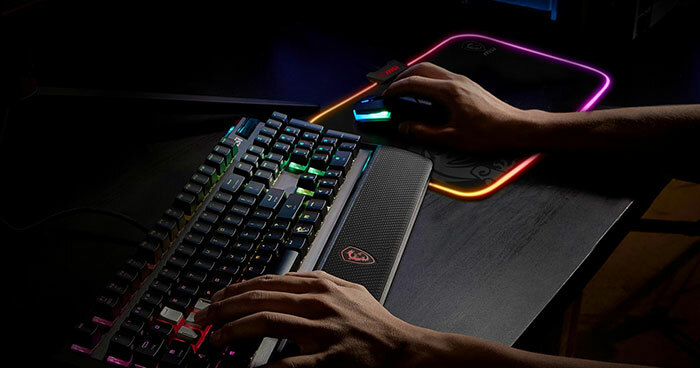 The new MSI Agility GD60 Gaming Mousepad includes a "special silky smooth textile surface," a natural rubber non-slip base, an MSI dragon logo, and software-less RGB LED lighting control. 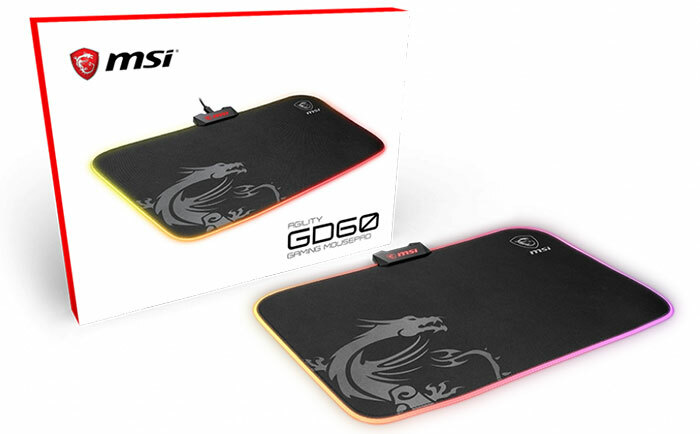 If you head on over to the MSI gaming gear pages you will see the Agility GD60 Gaming Mousepad alongside several other mousing surface products of different types and sizes. This new mat measures a generous 386mm x 276mm x 4mm, not including the control box. The mat's surface uses a micro-textile material suitable for both laser and optical mice, says MSI, but underneath is a natural rubber material chosen for its non-slip properties. At the top of the mat you see where the USB cable connects to the control box and then to the mat. MSI's control box sports a single button to the upper right. A short press of the button changes LED colour and a long press toggles through the lighting effects. For your RGB LED pleasure the controls can thus select between six preset colours, and five effects including; steady, breath, flash, fade, and stream. The edge of the mousing surface and the MSI logo on the control box appear to act as a single zone. Sadly, for those who wish to integrate this mat with their MSI Mystic Light or similar system, it doesn't offer such control, so you will have to manually twiddle it to look like it is part of the same RGB LED system if that is your intention. MSI hasn't revealed pricing for the new Agility GD60 Gaming Mousepad but it says that it will be available very soon in selected countries. A quick search found it currently listed for pre-orders in Australia for AUD$45, which is a reasonable GBP£25. But, can it play Crys….. I'll get my coat.